Schneider has signed with the Toronto Blue Jays and is scheduled to report to the GCL Blue Jays on Friday. Davis Schneider follows through with a swing during Eastern Regional High School’s South Jersey Group IV first round game against Atlantic City High School last May. Schneider was drafted on June 14 by the Toronto Blue Jays in the 28th round of the 2017 Major League Baseball Draft. 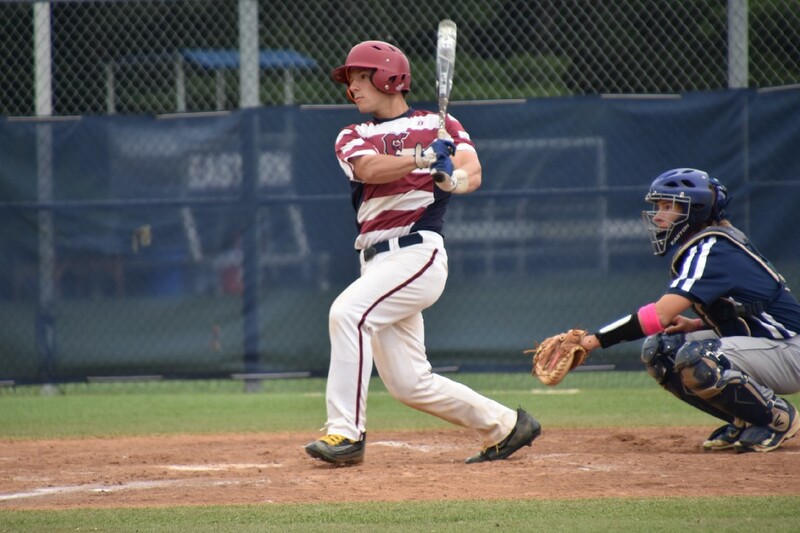 Eastern Regional High School senior third baseman Davis Schneider was heading home from the Olympic/Colonial team’s 6–2 win over Burlington County in the opening game of the Carpenter Cup last Wednesday when he got the news. A couple minutes later, Schneider received a call from the Toronto Blue Jays, who had selected him in the 28th round of the 2017 Major League Baseball Draft. With the selection, Schneider became the fourth player to be drafted out of Eastern since 1996. The last Eastern player selected in the MLB Draft was Tom Flacco in 2014. After being drafted, Schneider had the choice of either going to Rutgers University and playing baseball in college or signing with the Toronto Blue Jays. After thinking about it, Schneider decided to forgo college and sign with the Blue Jays. He signed his contract on Tuesday. The Blue Jays assigned Schneider to play for the Gulf Coast League Blue Jays in Dunedin, Fla. The Gulf Coast League is a rookie-level minor league where most of the players on the roster are players recently drafted. The GCL Blue Jays’ season was scheduled to begin on Monday, June 26. Schneider is scheduled to report to Dunedin on Friday. Schneider said a number of factors helped scouts notice him. It began last year, when Schneider was playing for his summer team, the Dirtbags. The Dirtbags won the 2016 Perfect Game WWBA World Championship in Jupiter, Fla. Schneider was named the most valuable hitter of the tournament, hitting two home runs during the trip. When the winter came around, Schneider committed himself to getting into good shape for the spring season. Schneider said a number of scouts informed him he would be considered in the draft with a strong high school season. He went on to have an outstanding year with the Vikings, batting for a .444 average and setting a school single-season record with 16 doubles. Schneider also set a career hits record at Eastern with 138 hits. Schneider felt having a solid high school season was the final piece to the puzzle, allowing him to be drafted. “If I had a bad spring, I don’t think I would have ever been drafted,” he said. Schneider is looking forward to playing in his first pro games in Florida. However, he doesn’t want to be nervous when he arrives. He talked about the importance of focusing and building on the work he already put in during his high school career. “I just want to play my game,” he said.